After weeks of speculation, Sony Pictures and Marvel Studios have reached an agreement to share everyone’s friendly neighborhood wallcrawler. Created by Stan Lee and Steve Ditko back in the 1960s, Peter Parker, aka Spider-Man (the correct spelling of his name includes the hyphen), has become (arguably) Marvel Comics’ flagship hero. The character, known for the phrase “with great power comes great responsibility”, has been the subject of countless comic books, cartoons, coloring books, novels, records, and children’s books. The Spider-Man movies-5 in total, including the 3 directed by Sam Raimi and the 2 directed by Marc Webb-have grossed well over a billion dollars worldwide. Unfortunately for Marvel, because they licensed Spider-Man to Sony Pictures in 1999 (long before there was a Marvel Cinematic Universe-MCU for short), they haven’t been able to make use of the character (or any of his villains or supporting cast) in their movies. Much to their chagrin, I’m sure. One of the appeals of the Marvel Comics Universe (and the MCU) is the shared nature of their fictional world. Characters interact with one another on a regular basis. That was the basis (in part) for the creation of the Avengers. Not having access to their flagship character while building their shared universe had to be frustrating for Marvel Studios execs. With this new deal, Marvel Studios will now be able to expand their cinematic universe to include Spider-Man, and from the looks of the above press release, they’re already making plans. If I had to guess, those plans include Spider-Man participating in Captain America 3, which will be based on Mark Millar and Steve McNiven’s 2007 comic book mini-series Civil War. The story centered around the creation, in the wake of a tragedy involving superheroes, of the Superhuman Registration Act. The SRA required all superhuman beings to register their abilities and identities to the federal government. Iron Man supported the SRA. Captain America opposed it. Spider-Man initially sided with Iron Man but eventually switched sides and joined with Captain America. A significant moment in the story occurred when Spider-Man revealed his secret identity before the eyes of the world. The three characters are incredibly important to the story and when Marvel Studios announced that Captain America 3 was going to be a cinematic version of Civil War, I wondered how they would fill the Spidey shaped hole in the story. While it’s not been confirmed by Marvel, I think it’s quite likely that Spider-Man’s first MCU appearance prior to his own movie will be in the third Captain America movie. No matter where his first MCU appearance occurs, one thing is certain: Andrew Garfield will not be reprising his role as the wallcrawler. In fact, the studios are apparently looking to reboot the character again. According to Variety, Marvel Studios and Sony Pictures want the character back in high school, which means finding a younger actor to portray him. Actors have yet to be approached, and sources say Sony is looking to hire a new director to replace “The Amazing Spider-Man” films’ Marc Webb before tapping a new Spidey. The studio also needs to figure out whether it wants to go with another Peter Parker or introduce another character that suits up as Spider-Man, including Miles Morales, whose father is African American and mother is Puerto Rican. Sony has put the character, played by Tobey Maguire and Garfield, in Midtown High School before, but the plan is to spend more time in the setting and explore his awkward relationship with other students while fighting crime out of the classroom. Midtown is a major setting in the comicbooks, and Peter Parker also returns to the school to become a science teacher in storylines. Disney has even pushed back almost all of Marvel Studios’ slate of upcoming films to make room for Sony Pictures’ next Spider-Man film, starting with Thor: Ragnarok, which will relocate from July 28, 2017, to Nov. 3, 2017. That, in turn, will bump Black Panther to July 6, 2018, Captain Marvel to Nov. 2, 2018, and Inhumans to July 12, 2019. The two Avengers: Infinity War movies, however, are still slated to open on May 4, 2018, and May 3, 2019. Over on his tumblr, Andrew Wheeler created his dream team of all female Avengers, so I feel compelled to do the same. This one was tough. 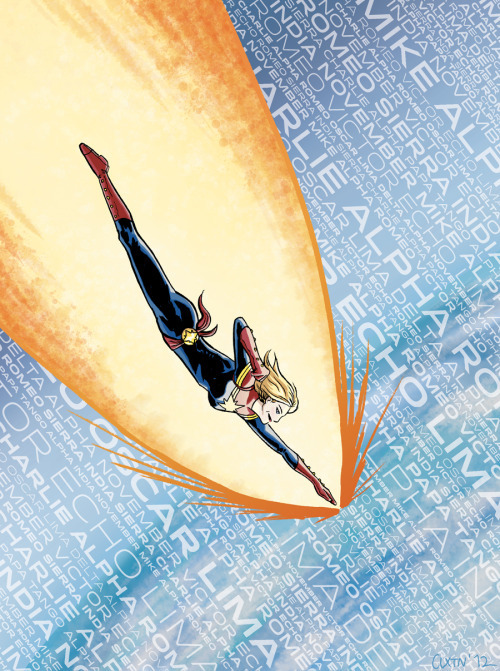 I like so many female heroes at Marvel, though I realized many of them were from the Avengers. 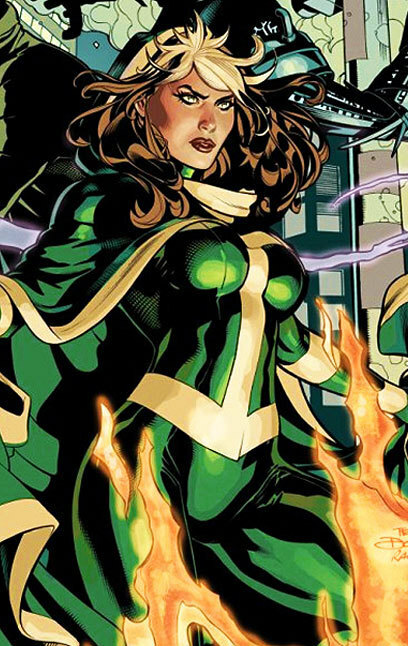 Chosen for her regal nature, her leadership abilities, her fear of enclosed spaces, her status as perhaps Marvel’s premier female character, her unique power set, her ethnicity, and her strength of will. Chosen for her ethnicity, her unique power set, her leadership skills, her snarky humor, her fear of water, her skills from the Harbor Patrol, and her friendship with the next person on the list. 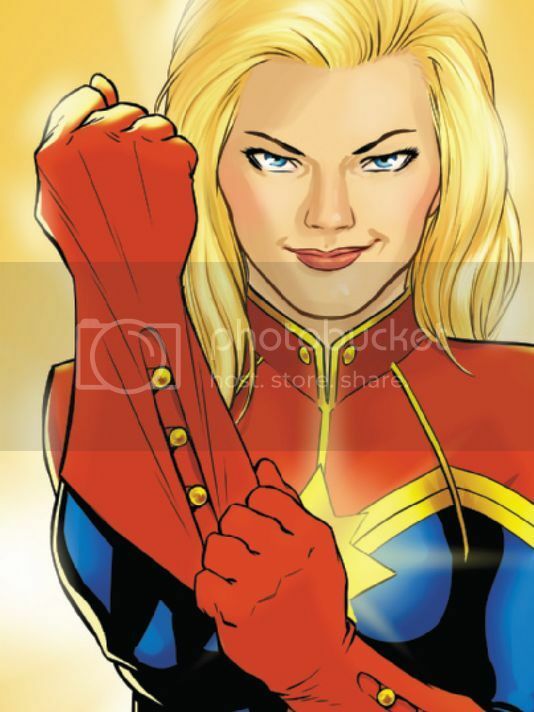 Captain Marvel # who can remember? 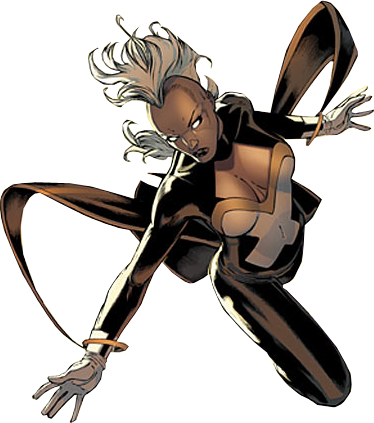 Chosen for her leadership skills, her military background, her powerhouse abilities, her friendship with Monica (and Ororo for that matter), and her status as a prominent female character. Chosen for her unique abilities (this is a recurrent theme), her burgeoning friendship with the next person on the list, her friendship with Storm, her history with Captain Marvel, her tragic nature (she’s back to being unable to touch anyone), the potential for friendship with Monica (both from LA), and her fierce devotion to causes she is passionate about. Chosen because of the developing friendship between her and Rogue, as well as her friendship with Carol and Monica. Her mystical nature allows for more than traditional superhero stories, and her past as both a member of Magneto’s Brotherhood as well as the events of Decimation lend tragedy to her character that contribute to possible desire for redemption. Chosen for her leadership skills, the fact that she’s a founder, her friendship with Carol, Monica, and Wanda, her abilities (which lend themselves to stealth), her skills in fashion, and her often light hearted nature. Chosen because the Avengers need a telepath dammit! Plus I love her arrogance (which has been toned down over the years). Also because she has a checkered history with the Avengers and is LGBT.